Azita Oshidary has dedicated more than two decades doing her passion and what she loves to do - selling Vancouver’s fine residences. 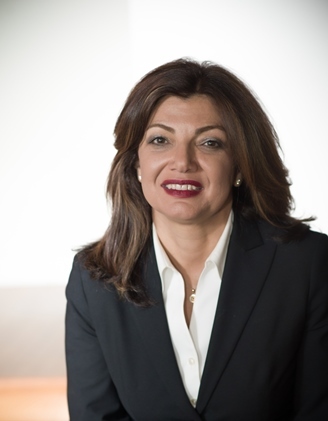 Azita has been renowned for her expertise in Vancouver Real Estate market due to her unsurpassed integrity, loyalty and professionalism. An expert in Vancouver properties, Azita is devoted to serving the needs of real estate buyers and sellers throughout Vancouver to include West Vancouver, North Vancouver, Downtown Vancouver , Vancouver West side and Downtown Vancouver. Azita is fluent in 4 languages, namely, English, French, Japanese and Farsi; a former champion athlete, top university graduate and scholarship recipient, former Collingwood parent for 13 years and recipient of numerous career awards and achievements, Azita appreciates and values hard work, education, and always striving for excellence. Her dynamic personality and style blend exceptionally well with the vitality and perseverance that has earned her a reputation as one of the most trusted and reliable professionals in her field of market area amongst her clients. Furthermore, having earned the trust and admiration of her associates, Azita has built an incredible network of co-operative fellow agents. Azita possesses a natural source of dynamic personalities that set her apart and enable her to successfully secure the goals of the most discriminating buyers and sellers. Azita is also an advocate to several charity organizations, to include hospitals, third world countries charities and animal shelters. Whether you are interested in a discreet mansion, a luxury estate or a waterfront condo, Azita is ready to introduce you to the finest with an eye for your particular taste and needs. You can always rely on Azita’s assistance in realizing the full potential of your real estate needs with unsurpassed discretion, breadth of knowledge and total commitment while maintaining your privacy in the strictest manner. Please feel free to contact Azita anytime, for all and any associated real estate advice.
" When I decided to join real estate in 1994, I made a commitment to represent the North Shore with the highest calibre of professional service experienced in the community. I take my promise seriously through hard work, superior service and excellent results. When selling your home, I will carefully assess the current maket condition and the value of your home and provide you with a realistic evaluation in order to successfully sell your home within a reasonable time. When buying your dream home, having personally viewed the majority of homes on the market, I can save you time and money and introduce you to those homes that meet your requirements.